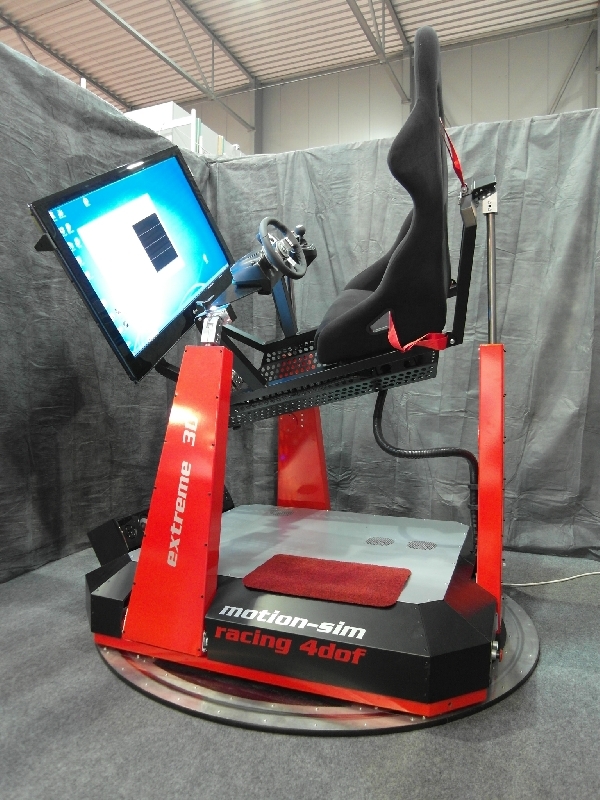 The basic starting position of a simulator and the driver's seat raised to a maximum height that is about half a meter above. 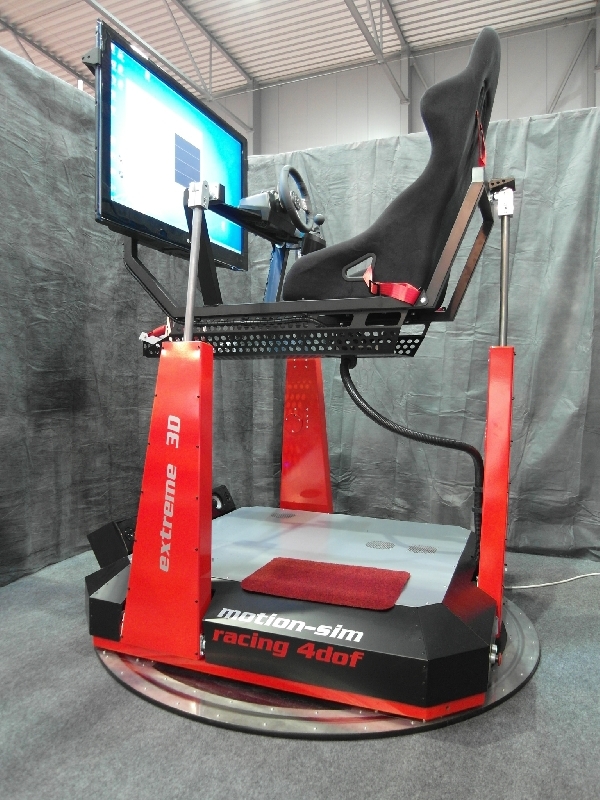 The back part of the simulator is in the maximum height on the first picture. 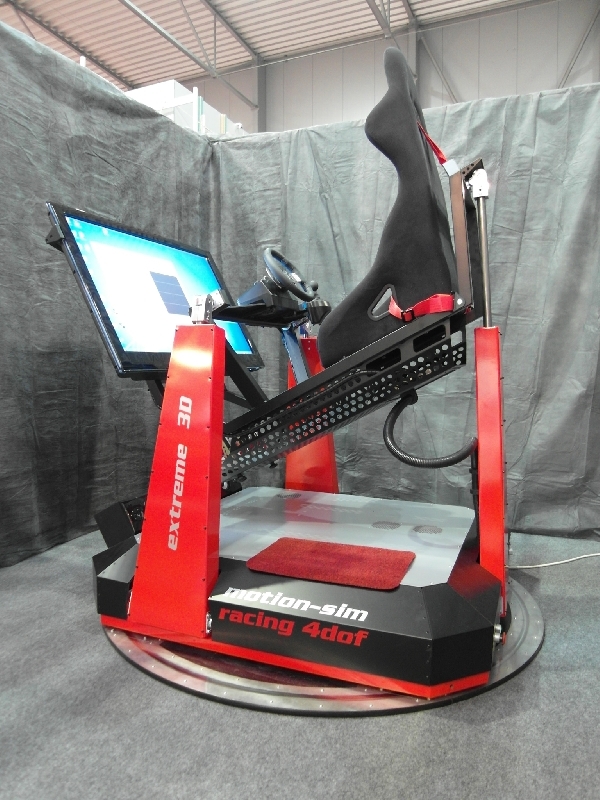 It simulates the forces during braking or impact. 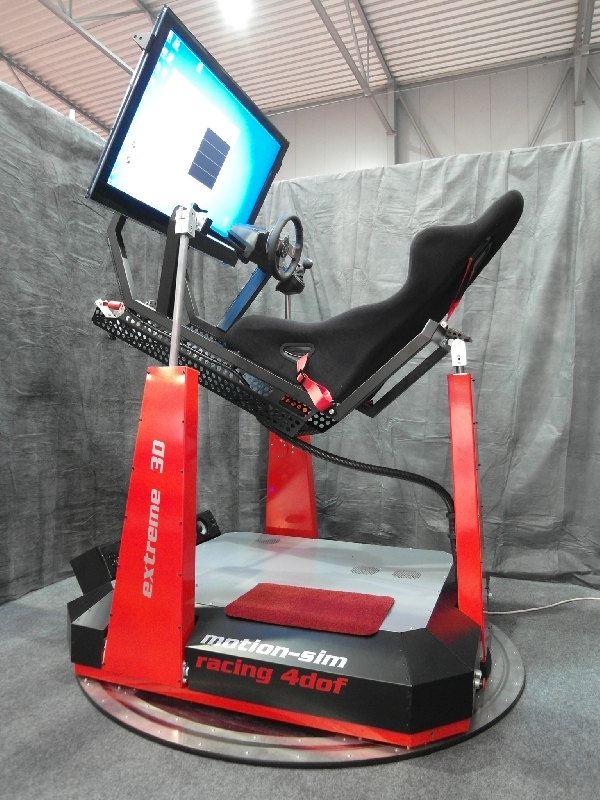 Static overload is around 0.5 G. The maximum dynamic overload, which was measured was up to 2G! 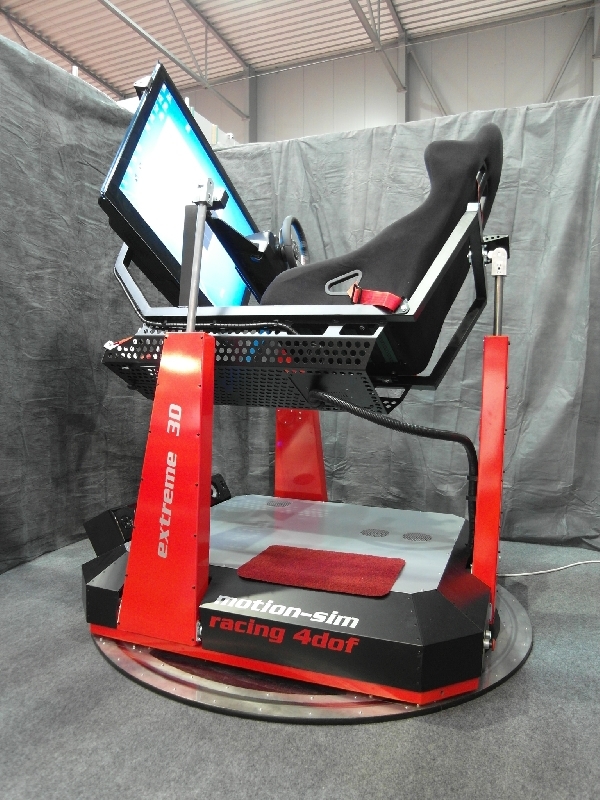 The second picture shows the front of the simulator in the maximum height. 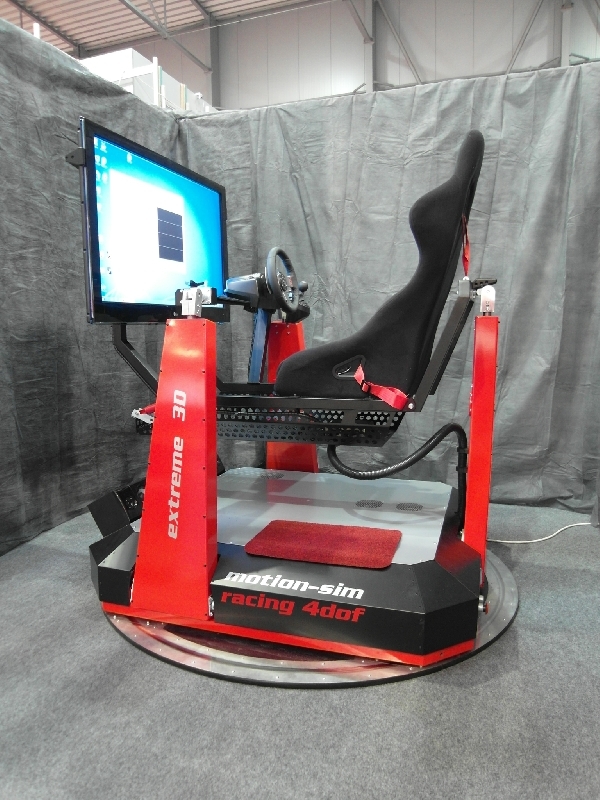 Thus, for example, it simulates the congestion during an acceleration. Maximum tilt is 30°. Simulation of the effect of forces during cornering. Maximum tilt is 30°. The base also may be turned by 90° in both directions (not shown).